12th scale hand made, a unique product to us here at Magpies-Miniatures. Set of 3 pairs of eyeballs- one pair of each colour: Brown, Green and Blue. 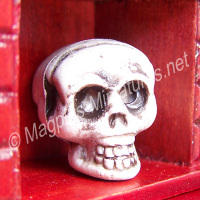 A creepy addition to your mini scenes, perfect for Halloween. 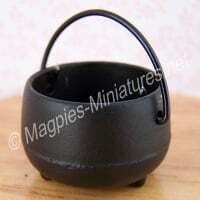 use them in your own crafts, add in cauldrons, plates etc.